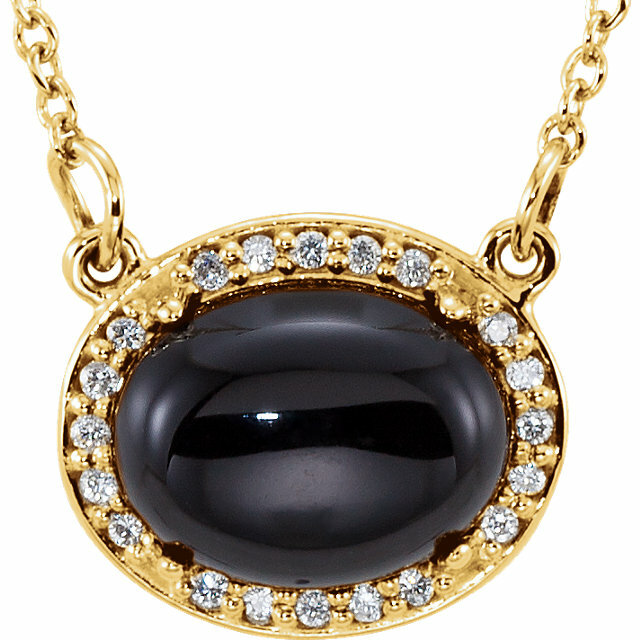 You can never go wrong with black, without fail, black jewelry will infuse sophistication into your look while making a bold fashion statement. 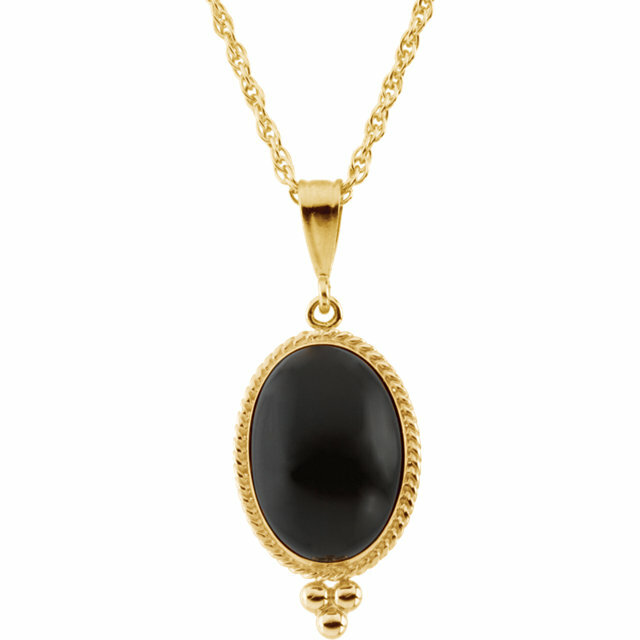 Our selection of gorgeous Onyx pendants captures the intrigue, appeal and simplistic beauty of the color black. 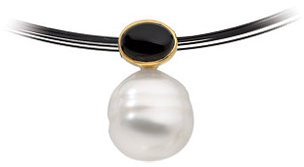 Create drama without flashiness, add an element of luxury without pretention, and get a look that is both modern and classic at once. 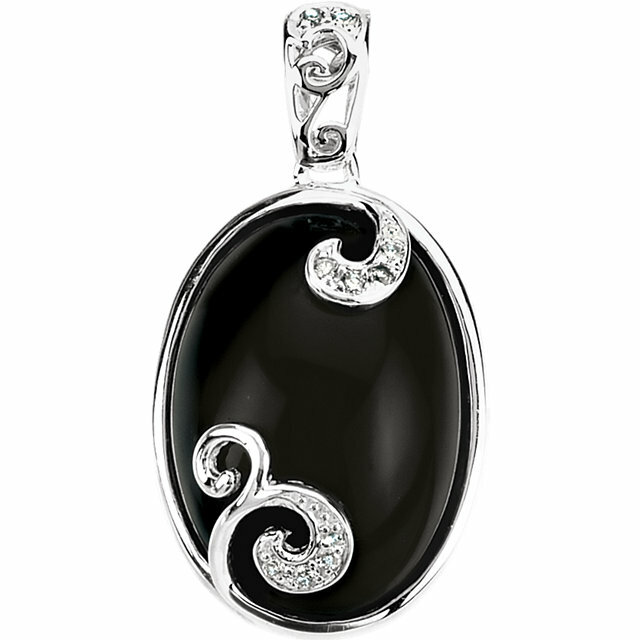 You cannot go wrong with any one of our breathtaking Onyx Gemstone Pendants. 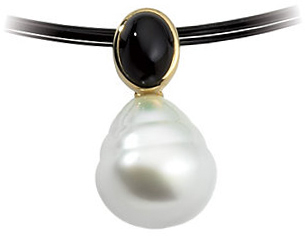 So, you don't know what her favorite color is. Don't buy her jewelry in the wrong color and end up in the dog house, go with the safe choice: black. 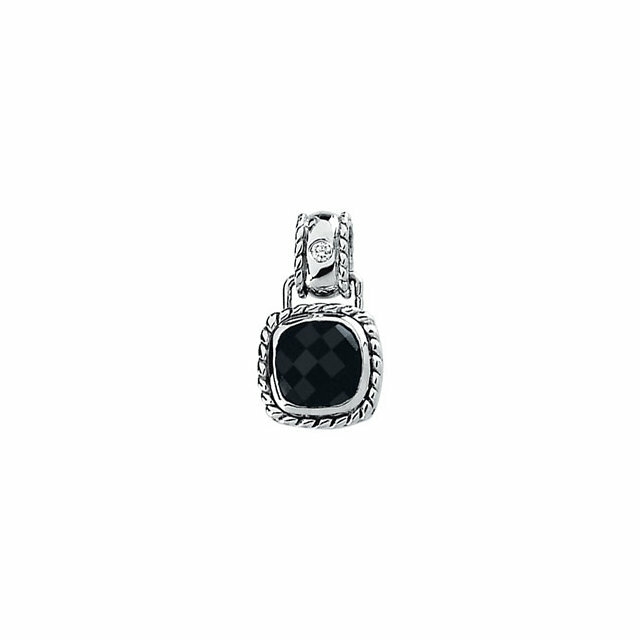 Everybody wears a ton of black, and black matches everything. 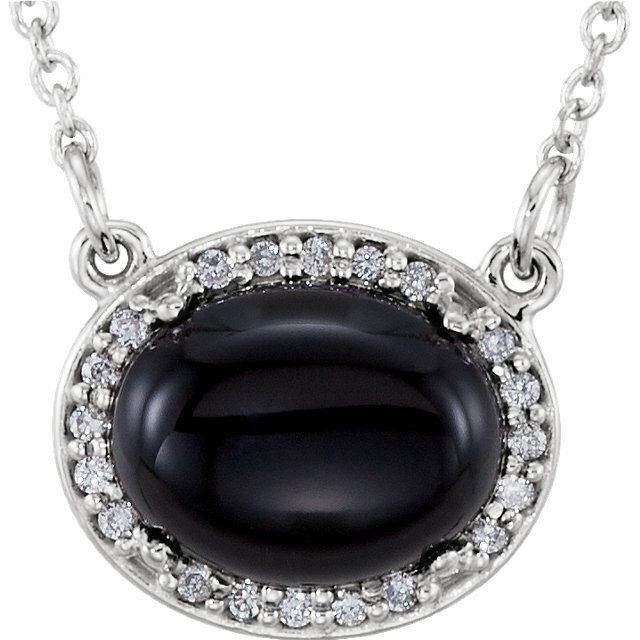 Regardless of her color preferences, she will be impressed by your savvy selection of a chic black Onyx pendant and will surely appreciate having a stunning piece of jewelry that can be worn in all settings. 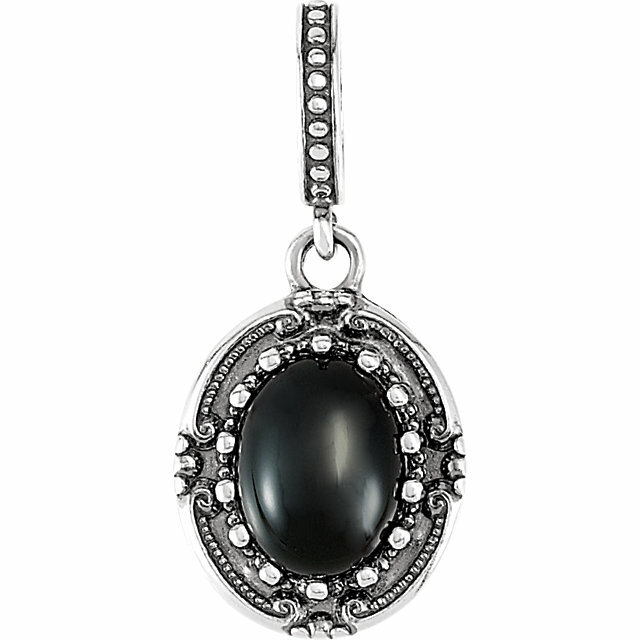 A necklace that goes with any outfit is an absolute staple for every woman; everyone needs at least some piece of jewelry that can be worn with anything. 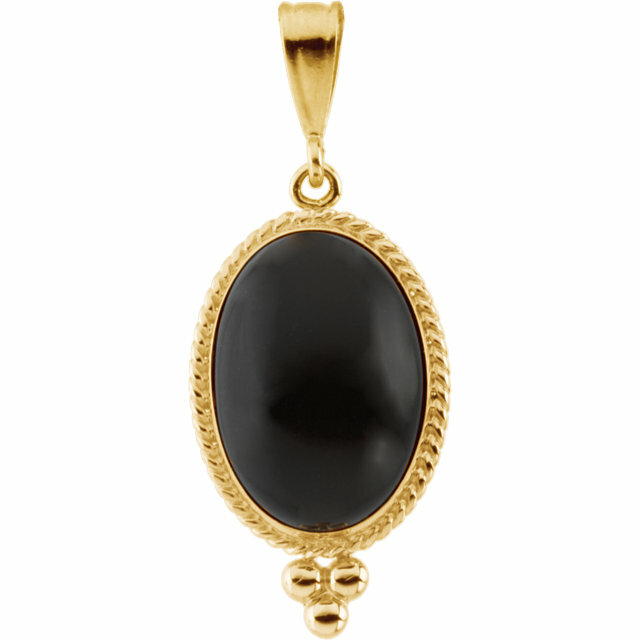 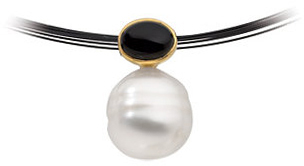 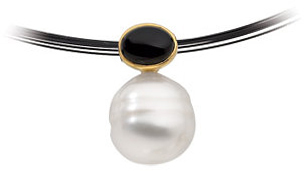 An Onyx pendant is must-have for every jewelry collection. 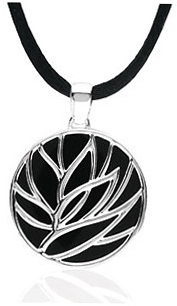 Purchase the necklace to fill that empty space in your jewelry box today at a discounted price. 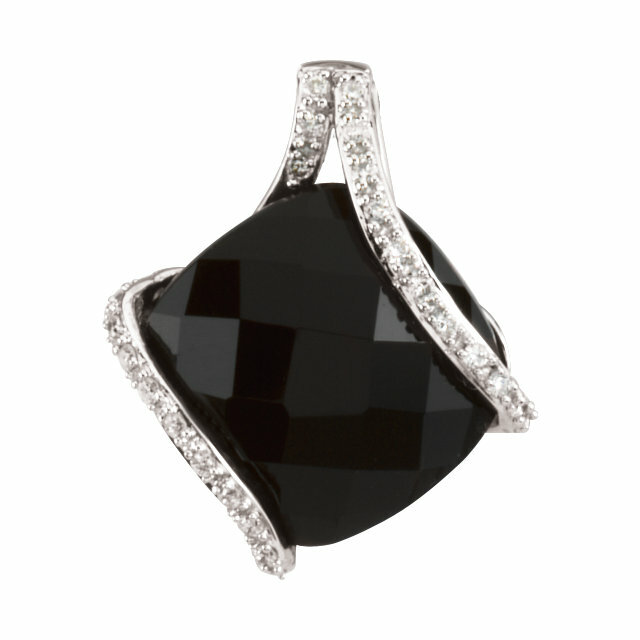 When the Onyx is paired with diamonds a striking interplay is created between the icy sparkle of the diamonds and the rich black of the Onyx in a way that the beauty of both gems is accentuated and heightened. 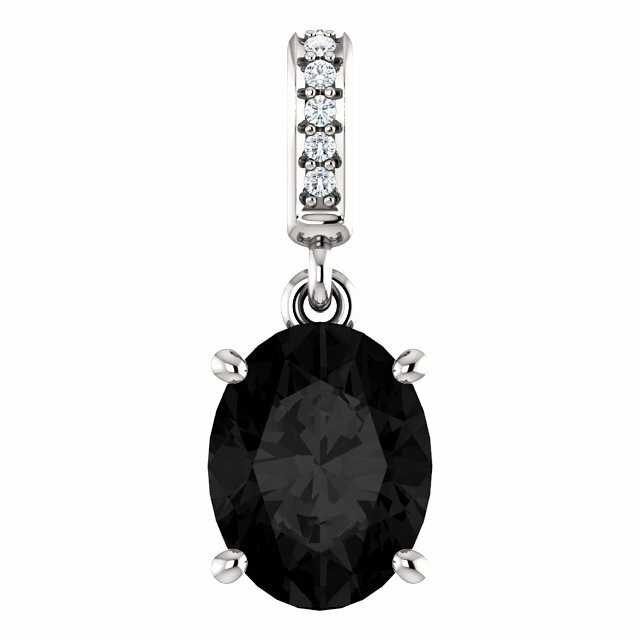 A diamond setting takes the Onyx to the next level of glamour and bling. 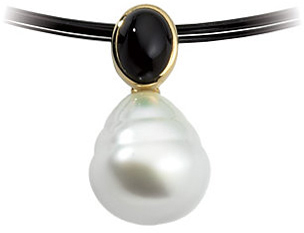 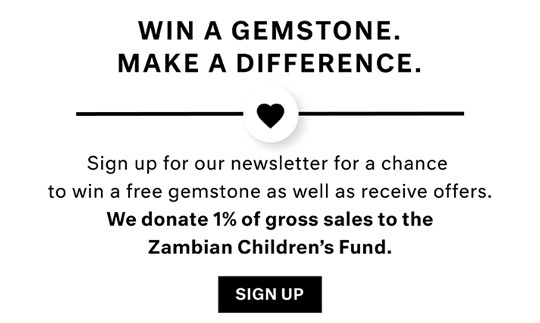 All of our Onyx Gemstone Pendants come with a free chain and same-day shipping.